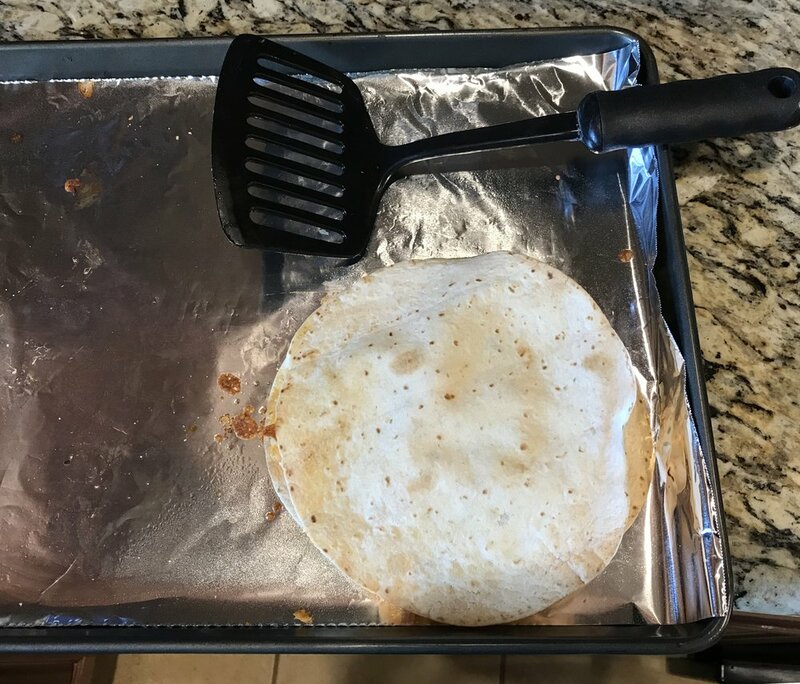 My final April meal was the Build Your Own Quesadillas. I love quesadillas, but I don’t love to make them. I hate flipping them in a skillet, but I wanted to give these a try. It was pretty fun that Mike and I got to make our own with the ingredients we each liked best. My quesadilla had cheese, chicken, beans, and peppers. Mike skipped the beans and added jalapeños. The last quesadilla had neither beans no jalapeños. I loved that we assembled them and put them on a baking sheet. We baked them for 12 minutes at 350 and then flipped them, cooking them another 6 minutes. The end result were quesadillas that were crispy, melted masterpieces. We cut them into wedges with our pizza cutter and served with salsa. These quesadillas were delicious and easy to make, which made them a win in my book. I will definitely be making all my quesadillas in the oven from now on. I love that Dream Dinners gives me great food and excellent cooking tips, too.